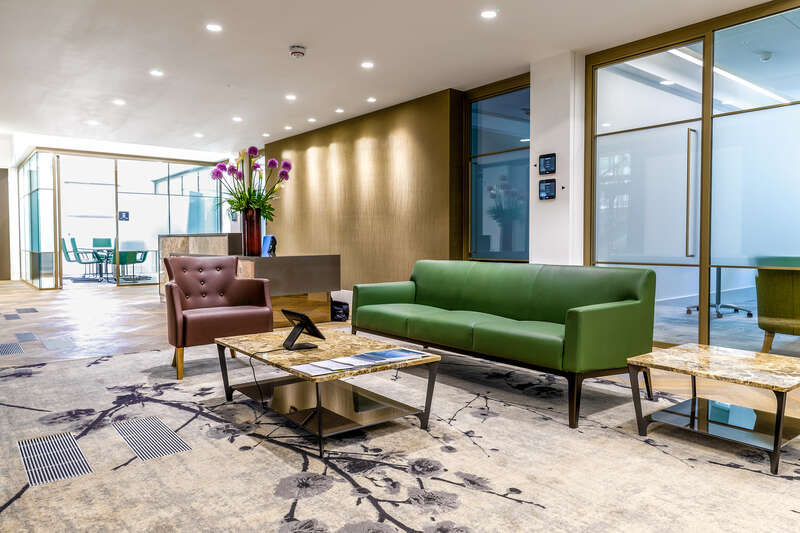 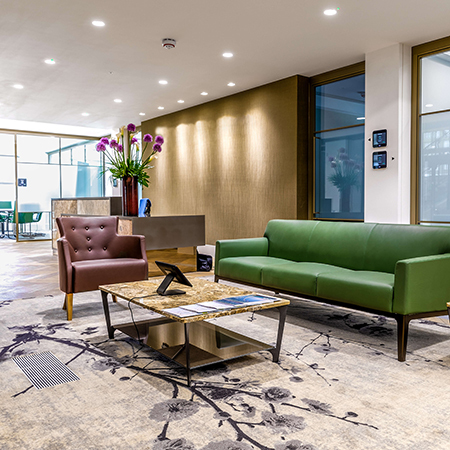 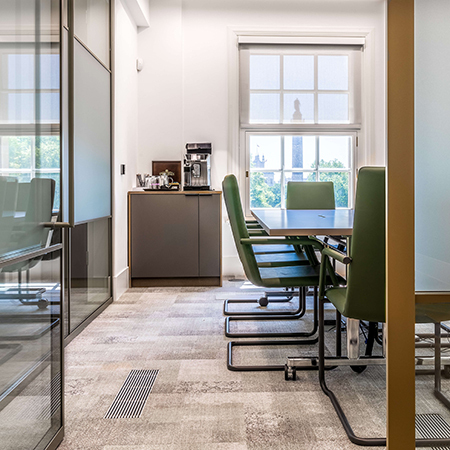 AET Flexible Space completed a Cat-B fit-out of underfloor air conditioning equipment on the second floor of 8 Waterloo Place for a new incoming tenant. 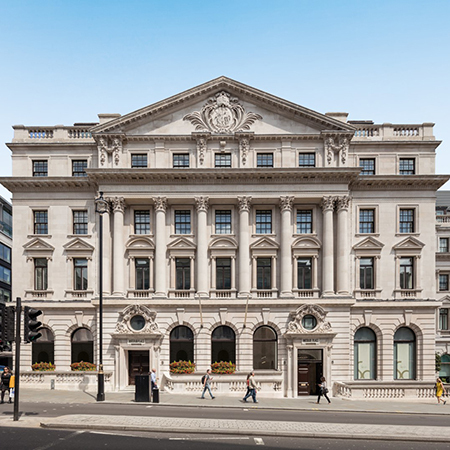 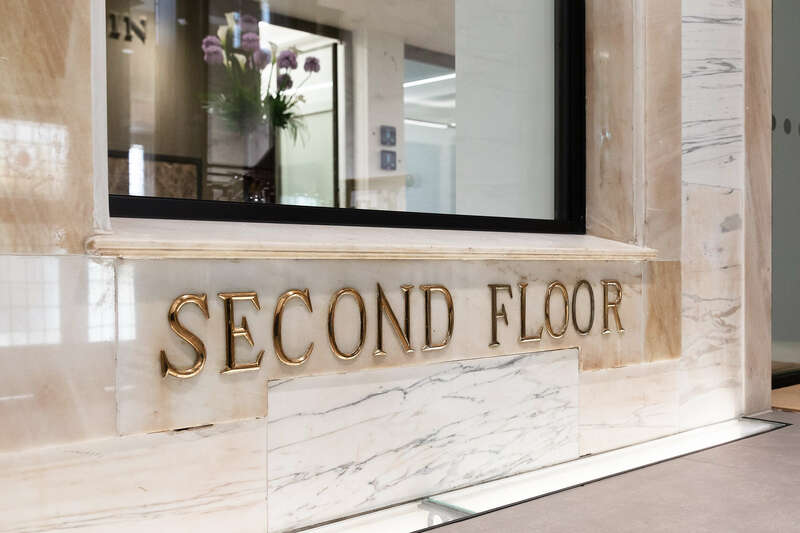 The stunning Edwardian building with a grade II listed Portland Stone façade was fully refurbished in 2008, creating 3,000 sq. 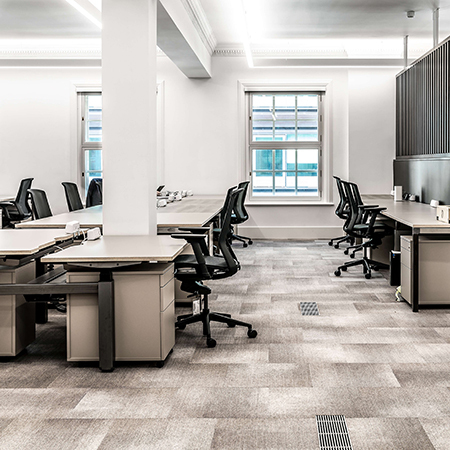 m of prime office space in the St James’ area of London, with the second floor becoming the first space to be occupied. 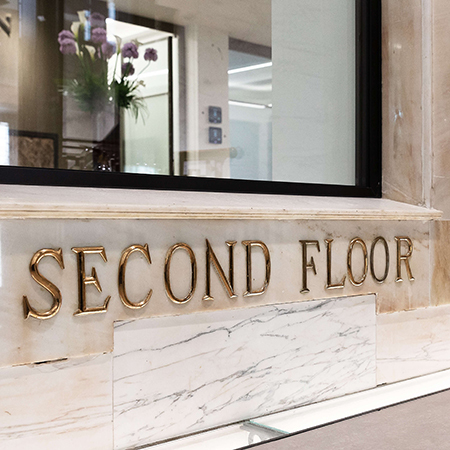 The system at 8 Waterloo Place is a CAM-C Direct Expansion system with underfloor supply air and underfloor return air, specified by consultant Watkins Payne Partnership after both the client and architect requested no ceiling based services in order to allow the decorative plasterwork and featured cornices to be exposed. 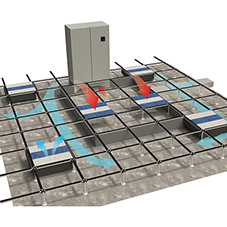 The CAM-C downflow unit supplies conditioned air into the plenum beneath the raised access floor, which serves as the ventilation zone. 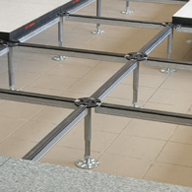 This zone is divided into supply and return air paths using airtight relocatable baffle and then the CAM receives spent air back at floor level for re-conditioning, allowing the total elimination of services located in the ceiling. 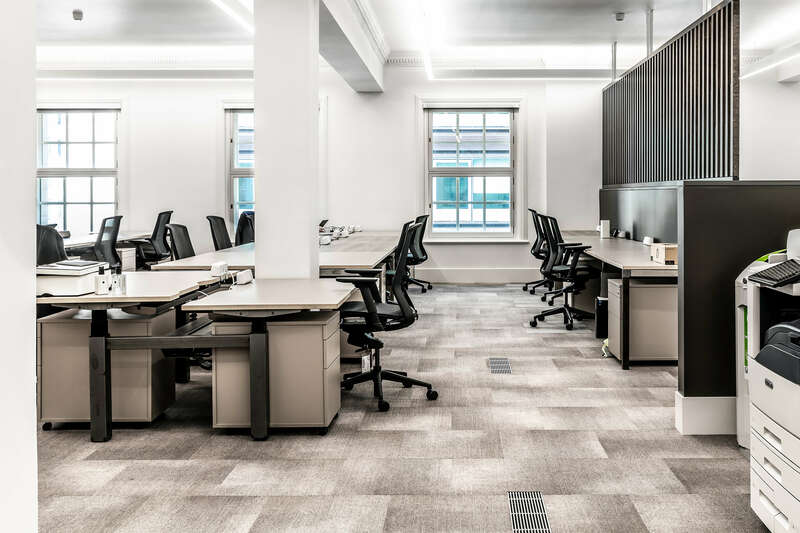 Conditioned air is fed into the space using modular, plug and play TU4 Fantile units with the upgraded EC fan option for additional energy efficiency. 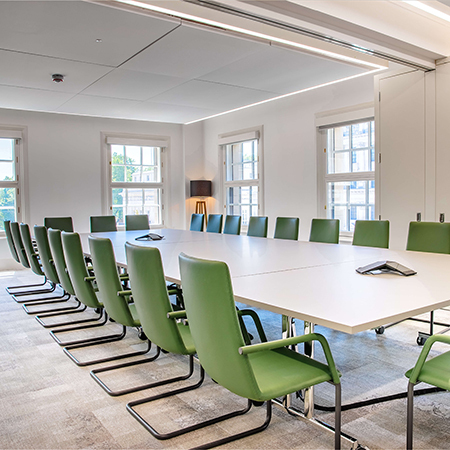 User control of the underfloor air conditioning system is enhanced by the addition of fourteen wall mounted Flextouch controllers, permitting remote temperature and fan speed adjustment of the Fantiles without having to physically access the integrated controller within the unit.